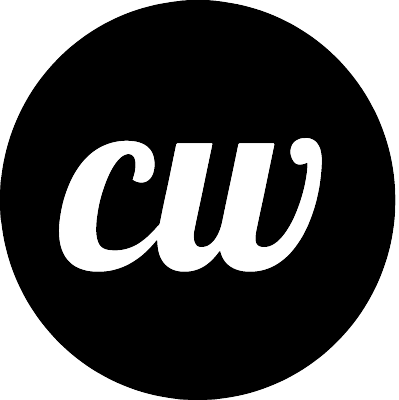 New York, NY, December 2, 2014	(Newswire.com) - ContentWriters.com officially launched their website on December 1, 2014, offering an array of top-quality content creation services to clients in multiple industries. The company is focused on connecting their team of educated, competent, and reliable writers with customers looking for well-written and search engine optimized (SEO) content. Content Writers helps fill their clients' blogs, websites, and social media channels with meaningful, inspired content that will help expand and improve the clients’ web presence. Motivated by the lack of options for quality writing services that he discovered during his own search for content, founder and CEO John J. Zidziunas began recruiting a core team of writers in early 2012. "The more I looked for consistent, quality writing I could commission for my law firm's content needs and my legal peers’ content needs, the more convinced I became of the need for a company creating reliable high quality content," Zidziunas said. "When I just couldn't find that service out there, the idea to form the company was born." Dedicated on providing Content as a Service (CaaS), Content Writers developed a proprietary formula that matches each client to their best-qualified writer, thereafter monitoring the writer’s progress and the client’s feedback and actively assessing the quality of the writer's work. “Our software allows us to track and monitor the writer’s work quality, number of edits needed, and the client’s feedback in order to determine the best writer for existing and new clients,” said Zidziunas. Content Writers also offers the unique feature of a content calendar for bulk and subscribing buyers, which provides them a monthly "road map" of their content's delivery dates as scheduled by the software. Thanks to his background as a practicing attorney, Mr. Zidziunas plays an active role in managing the content created for Content Writers’ Law & Legal clients, who represent a significant portion of the company’s clientele. The company serves twelve major industries including travel, real estate, finance, internet & media services, law and non-profit businesses. By hiring only well-educated writers with proven prior publication experience, Content Writers guarantees its clients consistent quality in the content produced. For the Law & Legal industry, Content Writers only works with freelance writers who are licensed attorneys or third year law students with law review publishing experience. "Our writers go through a rigorous vetting process," Zidziunas explains. "From the first review of their resume and writing samples, to a detailed writing examination every one of our writers must complete, we hire only truly accomplished expert writers with knowledge of SEO. Our clients know that the writer assigned to their project has our seal of approval; they know they're going to get high quality content, it's just that simple." 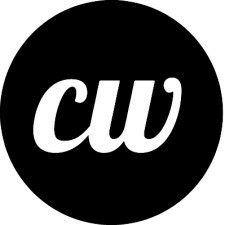 ContentWriters.com is easy to navigate and use, with all available writing services laid out in a clean format and with all pricing and timing information shared with total transparency. According to the company, it aims to be a full-service content generation provider, offering everything from content strategies, social media posts, blog writing, website copy, white papers, press releases, and corporate newsletters. Both one-time customers and clients looking to forge a lasting relationship can work directly with a writer who will become the voice of their company. Drawn in both by word-of-mouth referrals and by the company's integrity pledge of "100% satisfaction guaranteed through unlimited revisions," customers continue flocking to Content Writers during its launch. All assignments are completed in five business days, with an option to pay for expedited three-day completion as well. All content is guaranteed to be accurate and original, and the copyright is turned over to the client the moment it is purchased. To learn more, please visit http://contentwriters.com. Based in New York City, Content Writers LLC is a full-service content creation company. Its clients range from law offices to medical practices to educational institutions. The company only hires writers with advanced degrees, previous publication experience, and who pass a rigorous process of testing. The company guarantees consistent quality of its content backed up by a 100% satisfaction guarantee. Content Writers LLC was founded in 2012 with the goal of connecting great writers with clients seeking quality content.